Hello, chickens! I snuck away to Colorado this week to visit my parents and get a bunch of words done. There is nothing better than writing in the mountains. I am always über productive while I'm here. Maybe it's the thinner air. I miss darling husband and the minions, but I've also gotten to see my brother and nephews, and hopefully there will be a niece sighting as well. Golf, too. Gotta have some time on the links. Speaking of links... Here's the latest news and bookish goodness! 8 Crime Novels Of Women Starting Over - Crime Fiction as a Safe Space to Imagine Change. "Crime fiction is the perfect safe space for me to explore my own growth and transformation. The characters are often similar to myself, or a close friend, or my neighbor across the street, or a woman I used to work with. It allows me to envision what would happen if I, too, dared to change something major in my life—including the consequences of making those decisions—without having to actually change anything at all." Digital Wellness for Grown Ups. As usual, Cal Newport speaks sense. I admit I use an app to help me turn off my internet (Freedom) but I also do have the strength of will to set down my phone and pick up a book. You do, too! The 25 Best New Books to Put in Your Beach Bag This Summer. Fun list! I'm especially looking forward to Girls' Night Out, Give Me Your Hand, and When Life Gives You Lululemons... Assistant Leigh plans on reading The Kiss Quotient this weekend and has When Katie Met Cassidy and The Incendiaries on her radar. A Peculiar Audacity. A good lesson: you are the steward of you career. Don’t let it happen to you; make it happen for you. When we creatives allow other teammates to make decisions for us, bad things can happen. Here’s how the Queen uses her royal iPad. To watch foalings, natch. 12 Books That Could Be This Summer's 'Gone Girl'. I want them alllll! Have you missed the most recent A WORD ON WORDS? 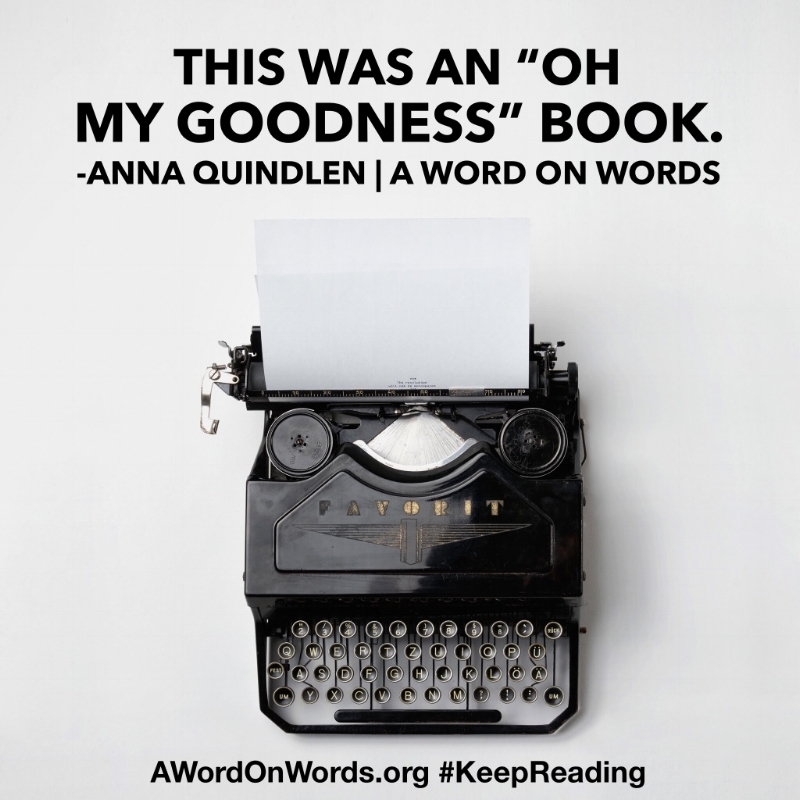 Last week's interview with Anna Quindlen was joyous, exciting, moving, and smart. Exit West with Mohsin Hamid was an incredibly thought-provoking interview that I know you're going to love! That's all for now! Take a hike, eat some watermelon, and we'll talk again soon.